Does your dog jump up when excited or to greet people? Jumping is an innate greeting behavior, often observed between canines. Many believe that it originates from an instinct in puppies to jump and lick the muzzle of adult dogs to obtain food. The attempt to lick the muzzle (“kiss”) continues as a greeting ritual in many dogs. 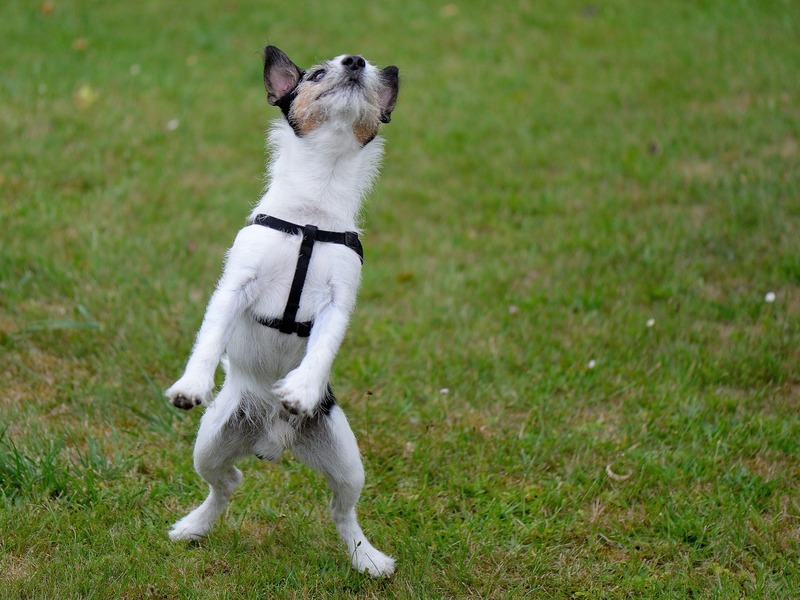 Because dogs are shorter and we stand upright they likely jump to try to reach our face. Some behaviorists suggest they also jump to sniff the human’s signature breath. When not in an excited state, teach the dog to sit reliably when instructed. Make a pact with other members of the family to not greet or pet a dog who is jumping. Instead, turn away, move behind a door, or step on a leash the dog drags. Don’t scold, talk to, or even instruct while the dog is still jumping. Delay greetings to reduce excitement. The guideline is to greet the dog (reward) when calm enough to sit. YOU should be the calm one. When ready to greet, give a calm loving greeting. Require a “sit for greeting.” Dogs can’t jump and sit at the same time. If your dog ignores the “sit” command, then ignore the dog, or close a door between you. Outside your front door, place a shake can and container of dog treats. When you come in, ask your dog to sit, and if he sits, give a cookie. If he jumps on you, shake the can to startle him. Repeat until he gets the cookie, then go outside and start over. Once he will reliably sit, leave the tools outside for the next family member. With guests, yell through the door, “Just a minute until I put my dog away.” (They will appreciate it.) then put your dog on a leash. Give your dog a special treat to go into the portable kennel or tethering spot. People often unintentionally train their dog to jump up on them, and undo efforts to correct the problem by petting the dog during jumping. This usually happens when the Pet Parent comes home and gives the dog a juicy, loving greeting as a response to jumping up. This intermittent reward will reliably foil any attempt to correct the behavior. 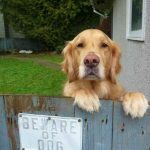 « How Serious is Dental Disease for Your Pet? When our dog got cancer, they treated him and us, the owners, with the utmost respect and dignity. They went over every option and never tried to steer us toward the least expensive route just because we were on a monthly plan. Instead, we received regular updates, frequent visits, and personal calls with the veterinarians. This is the best kind of arrangement we could think of. So much is covered under the Hannah plan, and I never have to make choices according to what I can and can't afford.